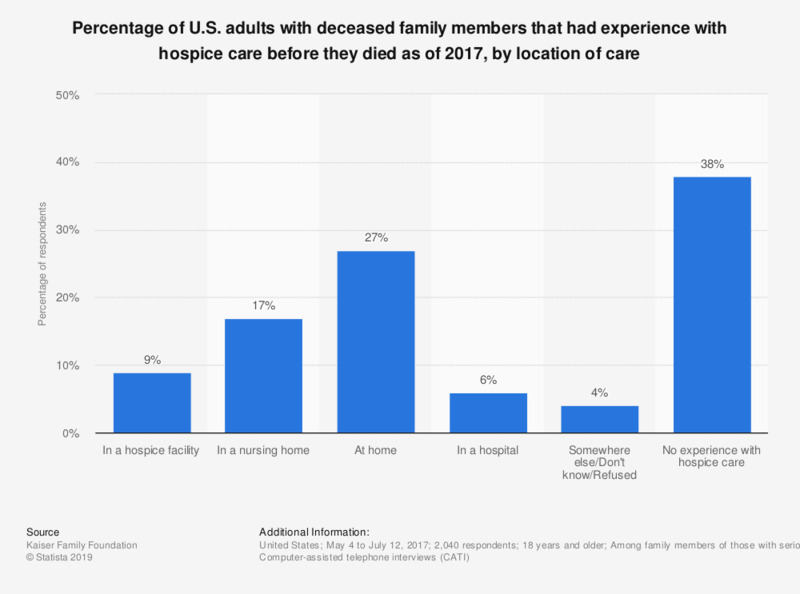 This statistic depicts the percentage of U.S. adults that had recently deceased relatives who had experience with hospice in the year before they died as of 2017, by location of care. According to the data 17 percent of respondents indicated that their loved one utilized hospice care in a nursing home in the year before they died. Original question: Did your loved one have experience with hospice care in the year before they died? Was this hospice care at home, in a hospice facility, in a hospital, in a nursing home, or somewhere else?